Arielle Gordon?!? She designed this in celebration of her adorable Maisie's 1 st Birthday. 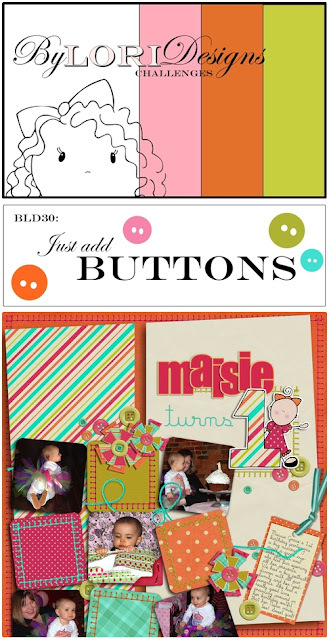 This week's challenge is to use one of my favorite embellishments...Buttons!